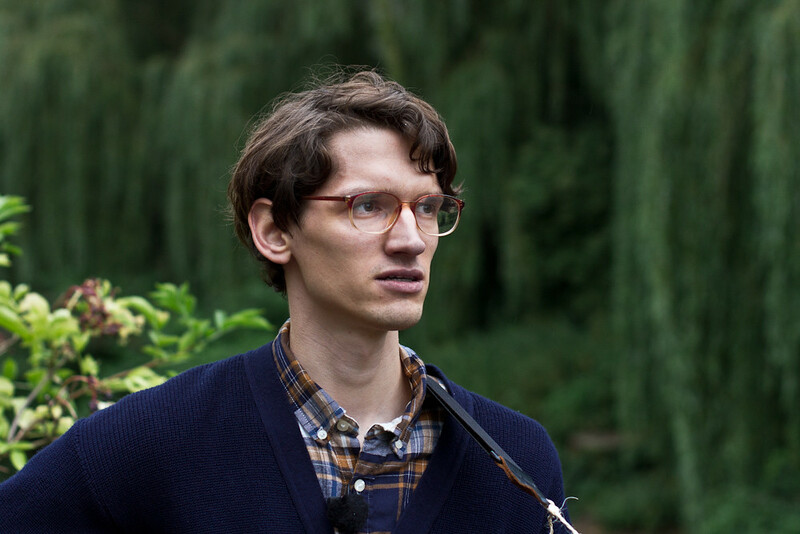 Singer- and songwriter Thijs Kuijken draws a lot of inspiration from nature. You can hear this in his intuitive, soothing and full-sounding music, the theme of his songs or simply in his bandname. I Am Oak is a reminiscence of his Dutch hometown Bergeijk, meaning mount oak. 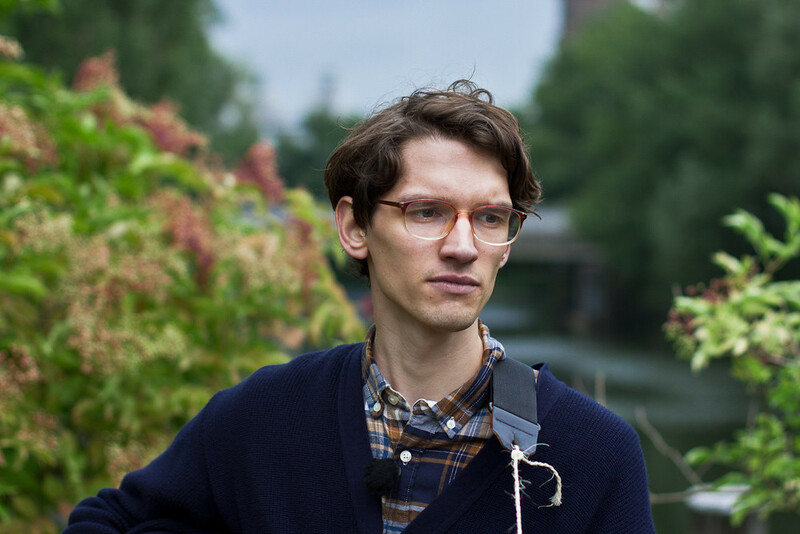 If you think of music that is strongly inspired by nature, you probably won’t think about the Netherlands, but rather the American Middle West or the northern part of Scandinavia as its place of origin in the first place. And indeed I Am Oak’s recent album “Nowhere Or Tammensaari” with its snow-covered cover was inspired by a trip to Finland. 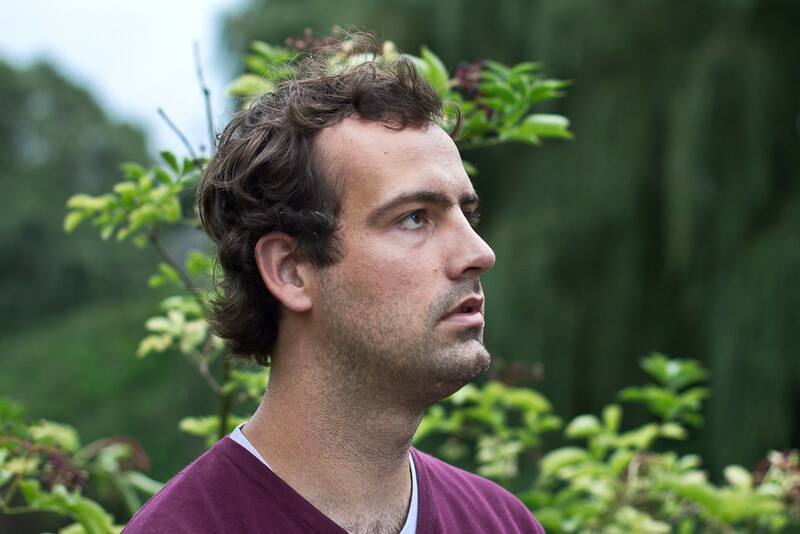 However, with his mellow songs Utrecht-based I Am Oak pretty much blurs out nation or genre borders. 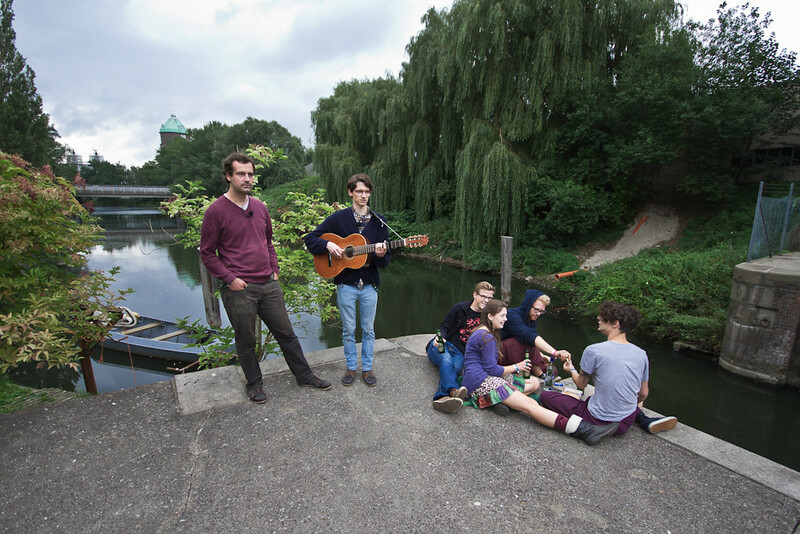 Leaving some yapping doggies behind I Am Oak perform “Murmur” at and old watergate near the Dockville festival site, accentuating the nearby murmuring of the water with beautiful vocal harmonies.